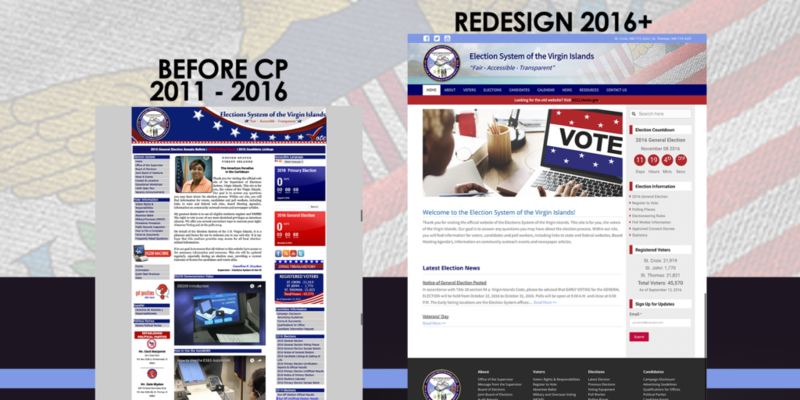 In June 2016 CrucianPoint took over the management of the Virgin Islands Election System website (vivote.gov) and we embarked on a journey to make it easy for the Virgin Islands voting public to find relevant election information and help the election system meet their mission of being Fair, Accessible, and Transparent. We launched a redesigned website just in time for the 2016 General Election. The new responsive, mobile friendly website focuses on the needs of the target audience and less on the content structure. There are dedicated sections for voters, candidates, and elections. All election information is displayed in a consistent format. The public can quickly find historical election information from 2010 to the present. We made it easy for content to be quickly updated and information to be found. Voters and other interested parties can subscribe to receive updates when new information is posted. This has been especially useful on election night when election results are posted as they counted.